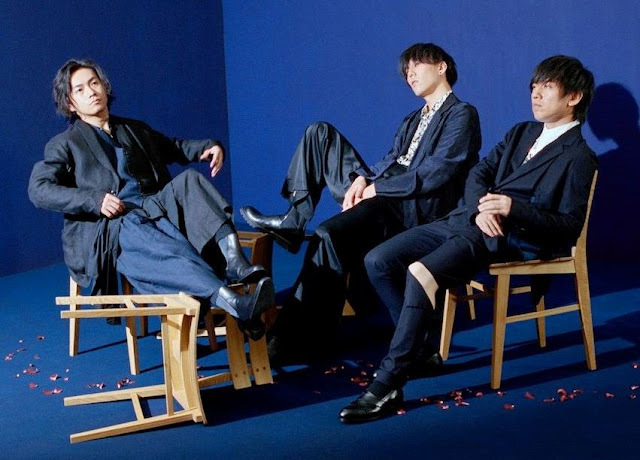 Japanese rock band RADWIMPS who is most recently known for singing the soundtrack for the globally successful film “Your Name” (Kimi no Na Wa), is heading to Asia this June for a tour which will include Southeast Asian cities like Singapore and Bangkok. The tour will also include other Asian cities like Seoul, Hong Kong, and Taipei. 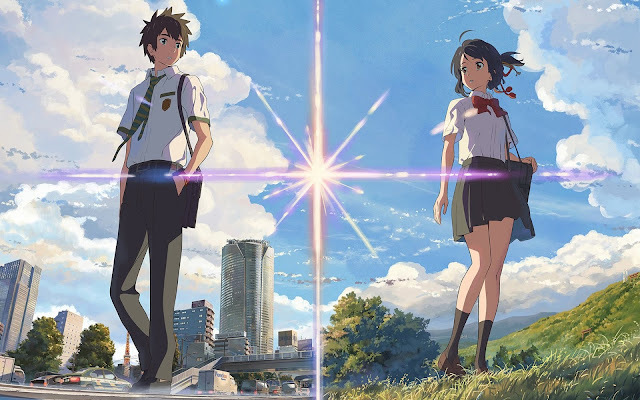 Thanks to the box office success of Makoto Shinkai’s latest film, the Kanagawa indie band has been catapulted into the international mainstream music scene in 2016, even though they have been around for more than a decade. 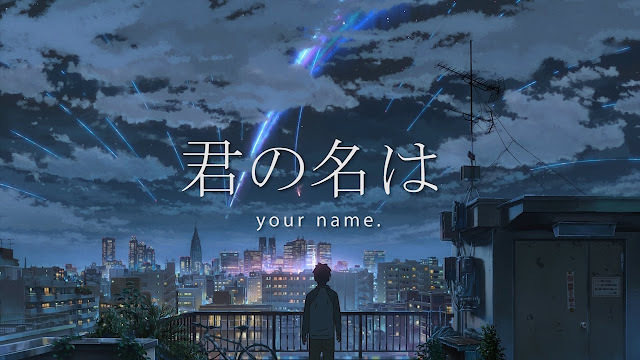 The band is responsible for singing and composing all the songs in “Your Name”, which include “Yumetoro” (Dream Lantern), “Zenzenzense” (Previous Previous Previous Life), “Supakuru” (Sparkle), and “Nandemonaiya” (It's Nothing). Each of the abovementioned song also has the English version of it. The soundtrack was very well received by both audiences and critics alike and is acknowledged as being one of the factors behind its success at the box office. 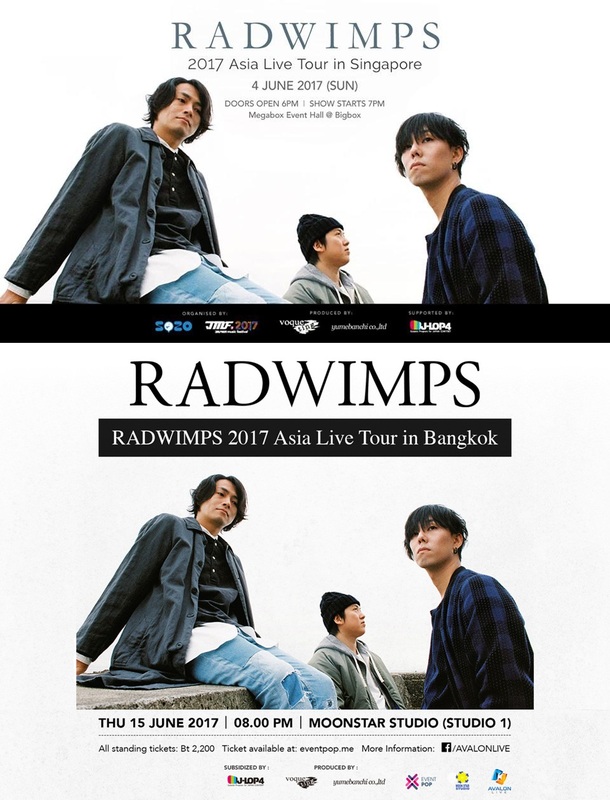 Kicking off in Singapore, “RADWIMPS 2017 Asia Live Tour” will begin on 4 June 2017 at Megabox Event Hall @ Bigbox, before heading to Bangkok’s Moonstar Studio (Studio 1) on 15 June 2017. Tickets for the Singapore show can be purchased via apactix.com starting from SGD98 while the Bangkok tickets are available on eventpop.me at THB2200.